How to get to Morocco is probably the first question someone asks while thinking on traveling to this amazing country. Getting to Morocco shows various possibilities: either flying using several low-cost airlines; or driving your car from Europe passing the Gibraltar strait between Spain and Morocco using the ferry-boat; or, just take public transportation using buses and trains. 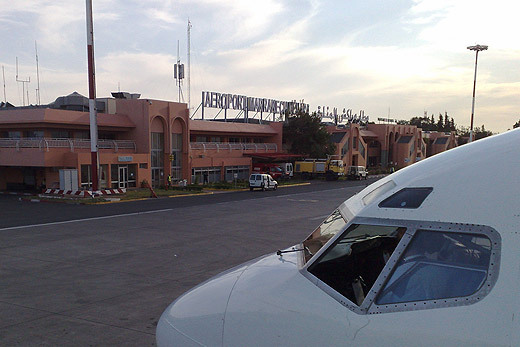 Most air companies fly to Morocco. Most busy airports are Casablanca, Marrakech, Fez and Agadir. We advise you to fly directly to Marrakech as Casablanca doesn’t offer much for tourist and can be unpleasant in many ways as big cities can be. So – Fly to Marrakech! If you wish to fly directly to Ouarzazate, you can fly from Casablanca to Ouarzazate as low as 35 Euros with daily flights, check out Royal Air Maroc website. 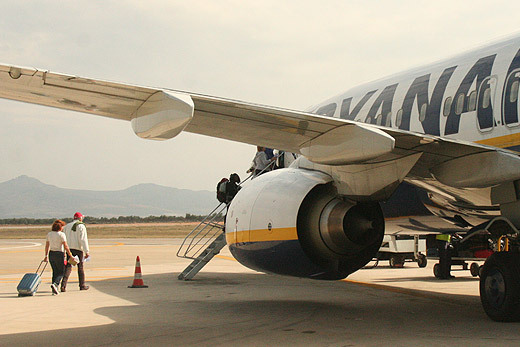 Most low cost companies such as Ryanair or Easyjet fly to Menara Marrakech Airport on a daily basis. Cheap tickets to Marrakech can be purchased as low as 8 Euros one way. Check out seasonal promotions and special offers on Ryanair and Easyjet for best ticket prices. 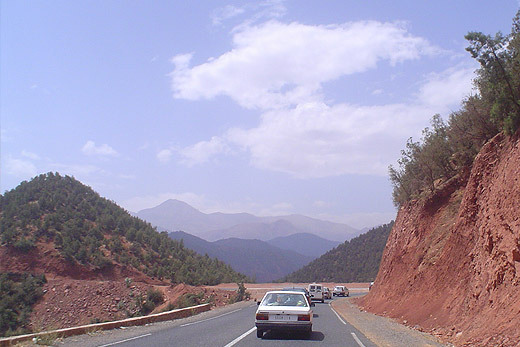 Driving to Morocco is easy and doesn’t represent any serious threat of difficult process. Driving in Morocco is as normal as driving in any other country. Entrance papers for taking your car into Morocco are the normal car papers you need in your own country with one exception, you need a car insurance valid to Morocco. Just follow this sign L’assurance aux frontières and you’ll find the insurance office just 10 meters after. Very easy to find. If you don’t have Moroccan Dirhams you can either exchange some money in a nerby exchange border office or just take some cash out using the ATM machine. This car insurance to Morocco can be acquired on the Moroccan border, very easy process. 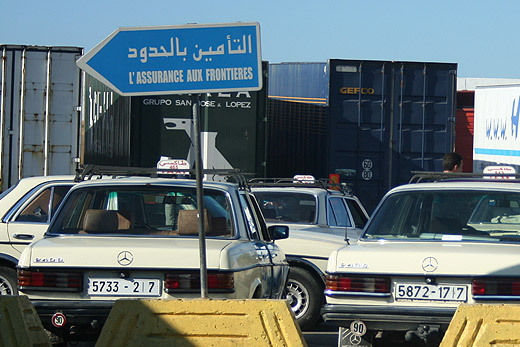 Buying car insurance at the Tangier border costs around 50 Euros for 5 days; and around 80 Euros for 10 days insurance. Moroccan roads in very good conditions, from north to south, from the mountains to the desert you will find excellent paved roads. 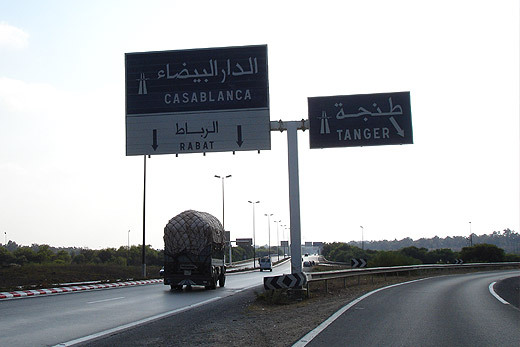 For those you want the best of the best, you actually have the Tangier – Rabat – Casablanca – Marrakech – Agadir highway for best road usage. Moroccan high-ways are of European standards and make you profit from time and travel safe and fast. Either taking your car or going on foot using public transportation traveling to Morocco, you will always need to pass the Gibraltar Strait. Taking the ferry-boat from Spain to Morocco / Europe to Africa is a fantastic experience and will stay in your travel memories forever. Best place to take the boat from Spain is from Tarifa in southern Spain. 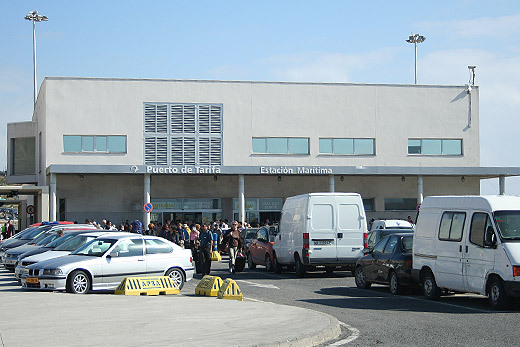 Photo Tarifa port authority in southern Spain, where you’ll buy your ticket to travel from Spain to Morocco by boat. 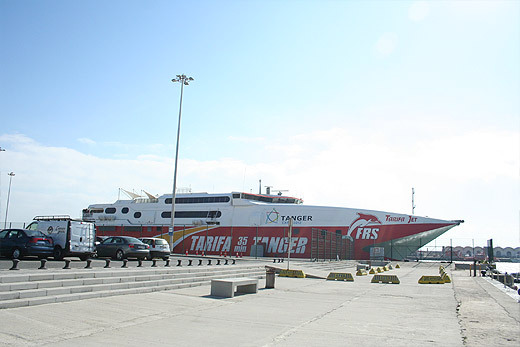 The itinerary Tarifa to Tangier takes only 35 minutes and costs 37 Euros for an Adult ticket one-way; 93 Euros for a vehicle one-way; 31 Euros for a Motorbike one-way. If you buy round-trip tickets you’ll get a 10% discount. If you wish you can buy an open ticket and return when you wish without any departing fixed date. Check the website from FRS.